3D Printing Michelangelo’s David in Concrete! – What’s Your Boldest Goal? Home > 2019 and Beyond > 3D Printing Michelangelo’s David in Concrete! – What’s Your Boldest Goal? “Using 3D-printed wax moulds for concrete components, we will have a completely different paradigm. This is transformative technology”. It is perhaps the most staggering piece of artwork in the whole of human history, renowned for its accuracy in the depiction of the human body . Anyone who has seen it up close comes away in awe of the fact that someone had the ability to carve such a piece from stone. 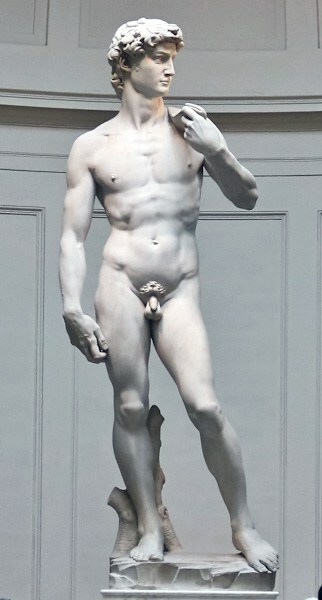 Now, imagine, that one day we will see a 3D printer that could print Michelangelo’s David utilizing concrete and other advanced materials – and that if such a statue would be placed next to the original, most people would be unable to tell the difference! Science fiction? Not to me. That was one of my messages in my keynote last week for the American Concrete Institute, with with over 1,000 executives from this industry in the room. My job was to outline for them the opportunities that will come to the industry from embracing fast paced trends. And I put on the table for them the idea that the boldest goal in their industry would be accomplished when someone was able to print Michelangelo’s David utilizing a 3D printer. It’s perhaps the equivalent of the well known Turing test, which is the ultimate challenge with computer technology — could a computer have the ability to exhibit intelligent behaviour equivalent to, or indistinguishable from, that of a human? Farfetched? No. In fact, computer companies have been pursuing the goal of the Turing test in a feverish race. This same thing will happen in the concrete industry with 3D printing — indeed, it’s a bold goal that some people are already thinking about in terms of the transformative trends sweeping the industry today. Here’s the thing — we might see these big bold bets be achieved sooner rather than later. I continually emphasize to my clients that the future is happening all around them, and that it’s happening faster than they think. In China, an entire 4,305 sq foot, 2 story home has been printed with a 3D printer, with walls as thick as 8 feet and with 9 foot ceilings. It too 45 days from start to finish, and was printed in one go at the building site. Consider this office building in Dubai which was printed in concrete using a 3D printer (from my slide deck). There are fascinating trends which come from the ability to 3D print with concrete. We can get more flexible designs, with concrete that is warped or twisted. Waste is significantly reduced, new design concepts are suddenly possible, and we can cut down on the cost of manufacturing. People are talking about the fact that it will lead us to an era in which we can “design for deconstruction” — printing in such a way that when a building is eventually decommissioned, we can dissassemble it rather than blowing it up! Of course, 3D printing is already passe, I pointed out to my audience at the American Concrete Institute: people are already talking about 4D printing — which has materials that can change shape depending on the environemt they are in! Bottom line? Consider this comment by Archite ct James Gardiner: “Using 3D-printed wax moulds for concrete components, we will have a completely different paradigm. This is transformative technology”. What’s the Turing test or Michaelangelo’s David in your industry? And are you prepared to think in a big and bold way to get there before others do?